dloHaiti is a Market Based Solution for Clean Water in Haiti. Sustainable and impactful, it provides clean drinking water to underserved areas of Haiti, areas where access to clean, safe drinking water is unreliable, expensive, or simply unavailable. dloHaiti is a social business providing safe drinking water to consumers in underserved communities in Haiti. For many Haitians, treated drinking water is not available close to their homes or is only delivered irregularly by trucks. 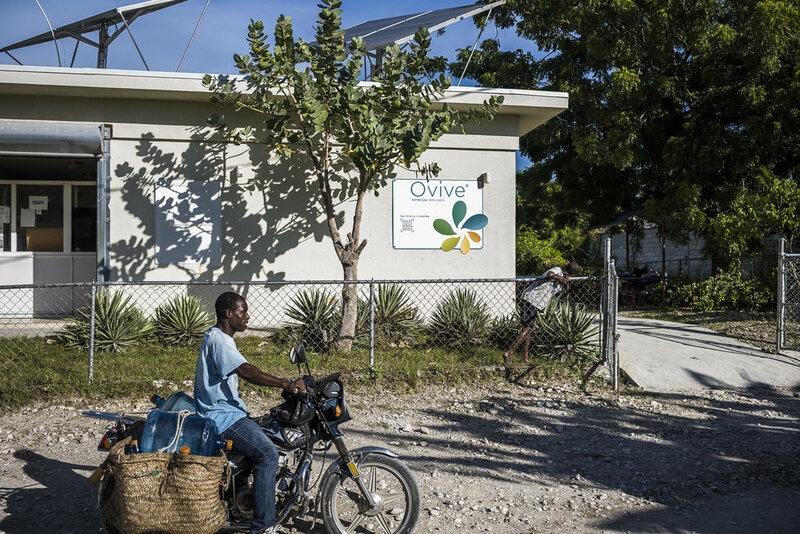 dloHaiti makes safe water available closer to consumers and at a price they afford. It does this by treating ground water locally and distributing 20-liter jugs of water through small stores and merchants that serve a Haitian family’s basic daily needs, making safe water available when and where they need it. dloHaiti makes the value chain for local retailers and merchants more efficient. We start with clean water, but then use that network of retailers and small entrepreneurs to make other essential products more easily available to everyday Haitians.
. . . all the while making growth capital available for small and medium sized business. It's the first step to develop long-term capacity and growth in the local economy everywhere in Haiti. Find out more at About Us at our Facebook page for regular updates on our activities in the field. dloHaiti’s sister company, UNTAPPED, helps other organizations apply this model in other markets throughout the world.